But her good middos did not help her when faced by a bestial, bloodthirsty terrorist who left his home, knife in hand, in order to kill a Jewish person. Nothing could stand in his way as he set out to carry out the tradition of the mujahideen to slaughter Am Yisrael, as his dubious religion stipulates. Her noble character and pleasant middos also, regrettably, did not help to protect her after her horrific murder. 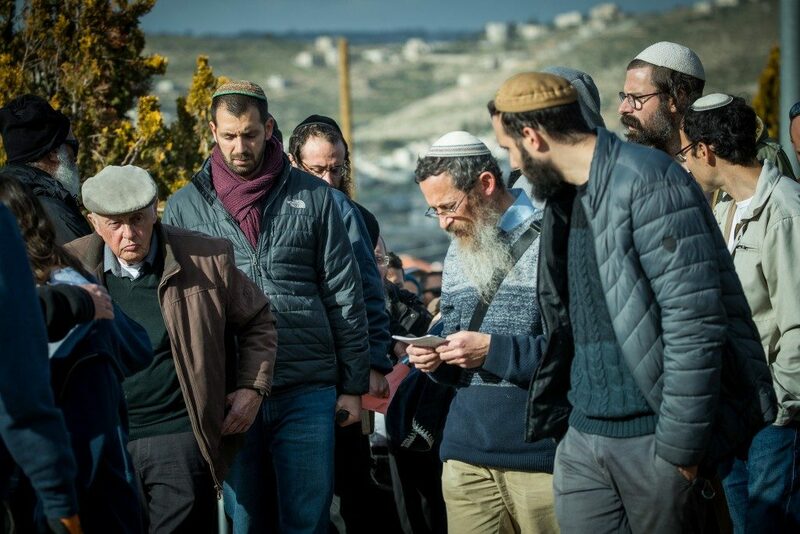 From the time it was publicized that she had been found in a forest in Yerushalayim, all the know-it-alls rose up and speculated what had happened to her. Aside from the anguish and grief this caused the family, there is also the matter of demeaning the deceased and causing her pain. And if that is not enough, this prying and nosiness kills, plain and simple. The Israeli police asked for a gag order, and not for nothing. Sometimes a brutal act like this causes other terrorists to emerge to show their power. The GSS conducted a study that showed that when a terrorist is lauded for a “heroic” act, and when the media details exactly what he did, immediately a few more terrorists seek to imitate him. That’s another reason to keep things quiet. The main reason is that, when there is a terrorist or a group of terrorists the police want to apprehend, there is no reason to give them additional firepower; there is no reason to play into their hands. When we see a gag order, the first instinct says, “They have what to hide; let’s tell the public.” Maybe, just maybe, they have what to hide because they care and they want to protect you. When we talk about fake news, we have to know that there are ‘heroes’ on keyboards who think only about the next minute. They don’t see any further than that. They do not have any general vision or guiding principles, only the goal of being first to come out with the information. We see it during times of crisis and trouble, when they know who the victims are and run to publicize their names before the families know. Now, too, the pain is so fresh and raw and they have slaughtered a holy young woman yet another time. ‘Heroes’ of the keyboard: Hold your fire. Remember that behind every “item” there is a family — friends and relatives who are aching and grieving. They don’t deserve this. The ugly rampage that the media went on for their selfish reasons — on account of the murdered girl — gave me a deeper and more painful understanding: It seems that the actual murder of a 19-year-old girl isn’t quite so appalling any more. The fact that she was killed by an evil terrorist doesn’t stun us that much either. To shock us, they think we need something more, preferably with graphic descriptions. What does this say about us? Maybe we’ve gotten used to the killing sprees of our Ishmaelite neighbors?! Maybe our senses have become dulled to a murder of a young girl inside Yerushalayim?! Because if this does not move us anymore — it’s a sign that we are deeply mired in the galus. The Chiddushei Harim of Gur used to say, “Vehotzeisi eschem mitachas sivlos Mitzrayim — and I will take you out from under the suffering of Egypt” — Moshe Rabbeinu worked to take them out because they had already gotten used to suffering at the hands of the Egyptians. That’s a very difficult blow. If Israel’s citizens have learned to tolerate the Palestinians and their murder rampages, then we are mired very, very deep. May this killing be the last one and, following the wish of this young woman to “fix the world with goodness,” may we merit to hear the footsteps of Moshiach, and may the words “Venikeisi damam lo nikeisi v’Hashem shochen beTzion” be fulfilled speedily in our day.